More than 300 skippers had to wait for the recovery of the cargo ship TMS Waldhof, which sunk in the river Rhine near the Loreley in February 2011. Some boatmen had to wait 4 weeks before they could continue their journey. Sebastian Adler was one of those waiting. 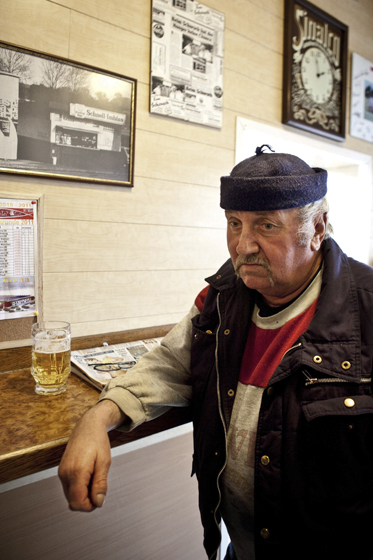 He spent his time in a pub in the port of Mainz. He was losing about 6000 € a day. I just got back to Germany, so sorry it is no new picture. Khampheng is a 52 year old captain and his boat is the „Tong Tiaw Lane Xang“. It is a cruiseship carrying passengers From the lao capital Vientiane to Savannakhet in the south. 2 days downstream, 3 back up. 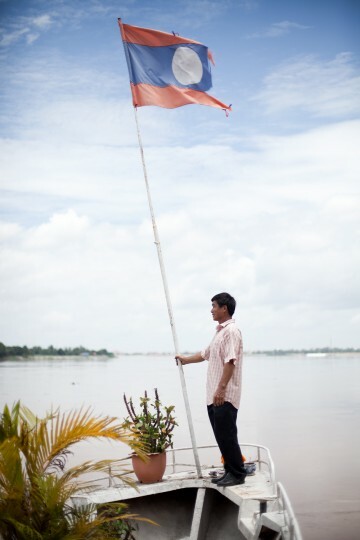 Khampheng has been working on the boat for more than 20 years. Actually facebook played a joke on us. When I checked what this weeks topic was it showed to me that the »54 year old woman« was the most voted topic. So I took a picture of a 54 year old woman. Her name is Christiane and she is crazy about riding her bike. 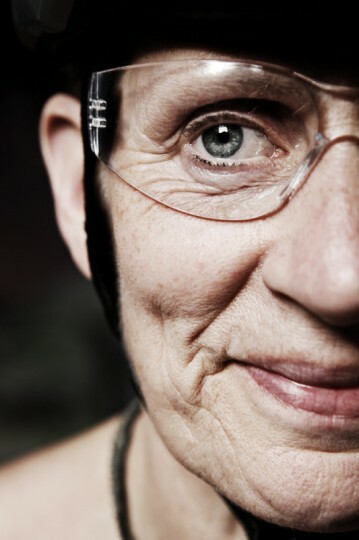 In 2009 she sold her car for environmental reasons and is since doing everything by bike. 2 years ago she made a tour from Germany to Great Britain all alone. Back home she is biking 500 km every month. A bicycle helmet and glasses may not be missing. Paul Watson is founder of the „Sea Shepherd Conservation Society“ and Captain of a whole anti waling fleet. Every year they go on a three month expedition to the Antarctic to chase the Japanese harpoon boats. I took the portrait just before they started the campaign in the harbor of Hobart, Australia.